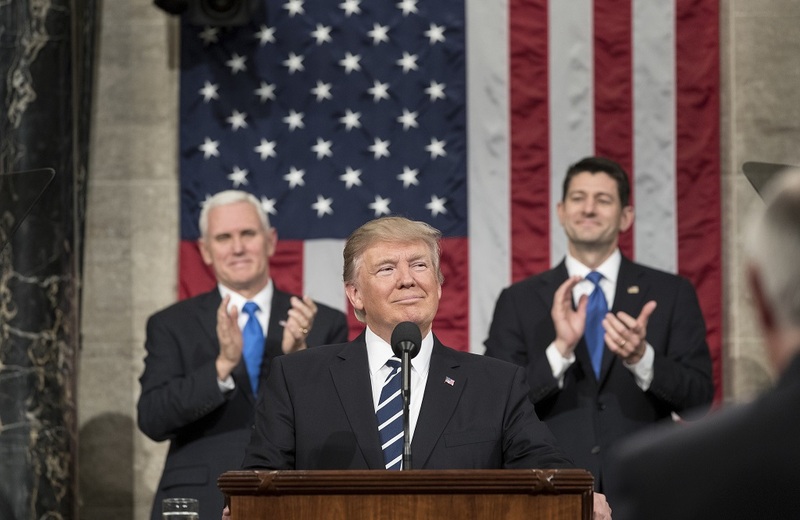 US President Donald Trump’s first budget request for fiscal year 2018 includes drastic cuts for diplomacy and overseas aid (-32%), and slashes US$4.6 billion from humanitarian assistance and global health spending. In the last decade, the United States has been the leading funder for preparing and responding to global infectious disease outbreaks, and the delivery of basic health care to low-income countries. The cut diminishes the world’s capacity to prevent and coordinate interventions to tackle human health security issues. Reducing funding to national disease surveillance systems, training and infrastructure in the developing world will hamper the ability to deliver rapid, coordinated and consistent responses to borderless infectious disease outbreaks. In 2015, OECD statistics showed a US aid contribution of over US$29 billion. This was delivered through bilateral agreements (country to country), multilateral commitments (United Nations, World Bank and others) and international and local non-governmental organisations (NGO). A third of these financial resources (US$11 billion) was used to fund basic health-care services: diagnostic tests for malaria and HIV/AIDS, drugs, bed nets, infrastructure and biomedical research centres. US funding and leadership strengthen disease surveillance systems and global coordination of epidemic outbreaks by funding professional training and research centres, and working closely with developing countries. The activity of the slated-to-be-decommissioned Fogarty International Centre is a good example. The country’s leading role in pushing the agenda to combat HIV/AIDS, malaria and tuberculosis is also noteworthy. The US has done so with the creation of the President’s Emergency Plan for AIDS Relief (PEPFAR) in 2002, and of the President’s Malaria Initiative (PMI) in 2005. It has also made substantial contributions to The Global Fund (US$10 billion in 2015), which attracts and disburses funds to prevent and treat malaria, HIV and AIDS and tuberculosis. The US had also made major financial contributions to the Millennium Development Goals (MDG) (the precursor of the Sustainable Development Goals), resulting in significant achievements in the last 15 years. AIDS-related deaths have dropped by almost half from the epidemic’s peak in 2005; tuberculosis deaths declined by 3.7% between 2000 and 2013; child deaths from malaria in Saharan Africa dropped by 31.5%; and maternal mortality fell by 45% worldwide. The proposed US aid cuts arguably represent, at the very least, a serious setback to achieving the Sustainable Development Goals (SDG).